Internazionale Milano or Inter Milan - The Nerazzurri are one of the most popular soccer clubs in the Italian Serie A - one of only two in Italy to have always played in the top flight of soccer. 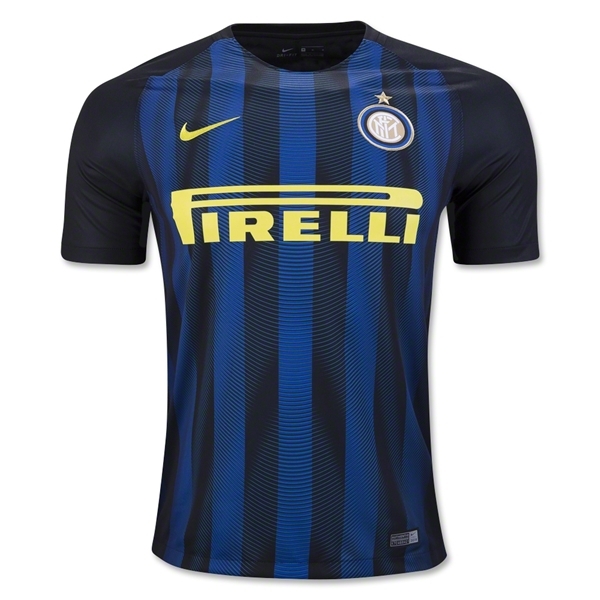 Buy all your Inter Milan soccer gear including the Inter Milan Football Kit at WorldSoccerShop in the UK. Inter Milan has been a member of italy's first division since first joining in 1909. Inter has won three Champions League titles, earning fans worldwide. The Black and Blues are in their traditional black and blue, with patterned stripes on the body and solid black sleeves. Black and blue bands on the sides expand with player movement. The team badge and Nike logo are embroidered, with a heat press sponsor logo. 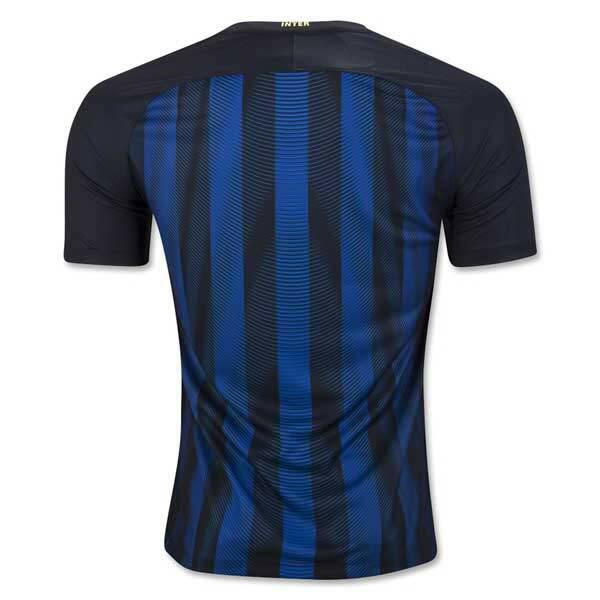 "Inter" is printed on the back collar.